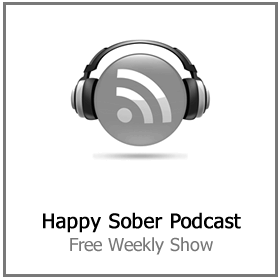 Have you ever met somebody who never appeared to be to be entirely sober? They can have a general fog of depression about them, could have health issues that feature drinking as the root cause of the concern, and are basically just not doing so good. The majority of the folks who are like this are addicted to booze. The majority of people you meet have the power to consume alcohol in moderation, which’s fine. Alcoholic beverages are intended to be appreciated in moderation. Not everyone who drinks alcohol will develop a problem. But everyone who drinks alcohol opens themselves up to one. 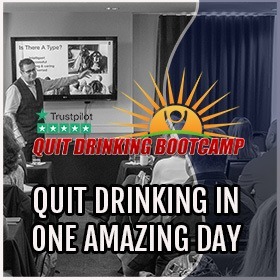 For a few of us, we understand that drinking alcohol on a daily basis or excessive drinking on a weekly basis means something is not quite right in our lives. The trouble is that drinking alcohol has this manner of being tricky when it concerns spotting approaching dependency. One moment, you’re merely imbibing in a cheeky glass of wine on a regular basis to chill out after a hard day at work. Next, you are looking for ways to defend against friends who are telling you that you should quit drinking alcohol. Then, you start getting grumpy when you do not consume alcohol. You start feeling awful, even when drunk. You’re hooked, and it’s taking a toll. This is the reason that you must always keep an eye out for indicators you should quit drinking alcohol. If you overlook them, or worse, cannot take notice of the forewarnings they offer, then it’s likely that you may wind up getting addicted and ending up in a world of agony. Unsure if you’re at that amount? Below are a few of the typical indications you should quit drinking. You’re known for downing at least a bottle of wine a day. Amongst the most significant indications, you should quit drinking is the volume you put away. It’s completely alright if you have a “crazy, heavy evening” where you get plastered to the point of falling over a few occasions each year. That’s not what we are talking about here. If you are famous among your friends for guzzling a bottle of wine every day, as dramatic as it sounds, you should quit drinking, at the very least for a few weeks. The same goes if you’re known for making huge amounts of cider or vodka vanish, as well. Regardless if it’s for entertainment or otherwise, consuming sizable quantities in a single sitting on a semi-regular schedule is a definition of alcohol addiction. Particularly, it’s an indication you’re an excessive or binge drinker. Excessive alcohol consumption in sizable binges can put as much pressure on your body as drinking alcohol daily, or even more so. It’s completely fine to take a breather if you observe yourself doing so. Your body has to recover, and you might also need time to distance yourself from alcohol addiction’s powerful bait. Hell, you may even discover that it’ll help you reduce weight. You consume alcohol on a daily basis. 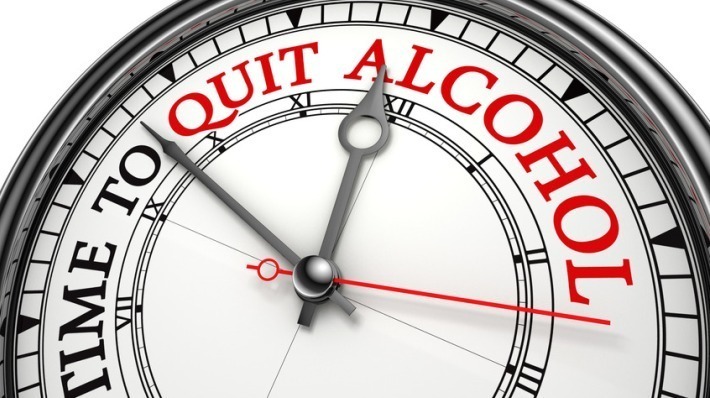 Regularity is the 2nd most common of the indicators you should quit drinking alcohol. 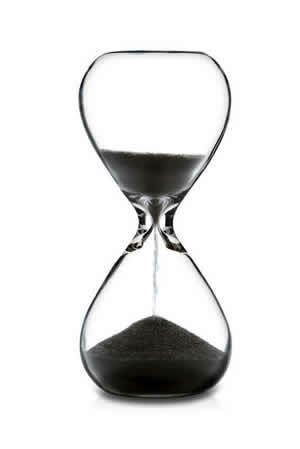 If you consume alcohol on a daily basis, it may be time to take a breather for a full week to observe if you can do it. Most of the time, serious problem drinkers do not understand how bad they have become up until they quit drinking for a little bit. Try to kick back sober a while, and see how you feel. Do you feel unusual, ill, or queasy? Then you should take a much longer time out. 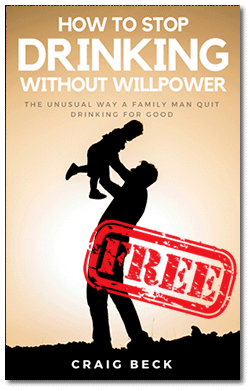 For lots of people, this is among the major hints you should quit drinking that may be shrugged off too easily. Many individuals just love to have a glass of red or white wine with an evening meal, no matter whether they’re eating by themselves or with friends. 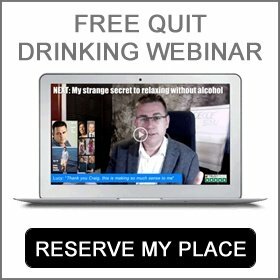 Chances are these people don’t have ‘a problem’, will most likely never find this website and may not always need to quit drinking alcohol, as such. Nonetheless, it may be a smart idea. Some problem drinkers won’t drink alone. They will claim this is because they only drink for social reasons. However, often the real reason is that they need the social proof of other drinkers to justify what they are doing. Others will go underground and buy their booze in a supermarket or liquor store, for consumption in private. A lot of men and women see this as an indicator of alcohol dependence, especially if it transpires every day. Although it’s not an incontrovertible sign that you should quit drinking, it is an effective clue that something is amiss. Loved ones have asked you to quit drinking. Most people will never really challenge significant, upsetting subjects that sit like elephants in the room. We don’t like confrontation! Most individuals will attempt to steer clear of discussing dependency because it’s such an awkward subject for discussion. If you see that friends and loved ones are concerned about you. Mention to you that you have drinking problems, or mention to you that they cannot give you any more to drink, this is a powerful and negative indication. Don’t take this lightly, it takes a great deal of courage to challenge somebody over alcohol addiction. If they are doing so, it’s a pointer that you may already be out of control. You feel horrible when you can’t drink. Among the more severe indications, you should quit drinking is how your system responds if you miss a day of consumption. Individuals who consume alcohol for extended periods of time will frequently observe that they wind up getting withdrawal issues. It’s simple to pinpoint alcohol withdrawal, particularly if you begin trembling, throwing up, feeling woozy, or start missing work etc. Having said that, that’s not everything withdrawal may do to you. Folks presume alcohol withdrawal must always be severe and dramatic; that’s not often the case. Occasionally, withdrawal only appears in the form of a negative emotional state or as a very bag hangover. 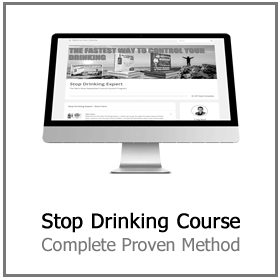 If you do not quit drinking when you detect withdrawal symptoms, your drinking problem will get worse and worse. It is the nature of the drug! It goes without saying, it’s important to understand the signs of alcohol withdrawal and to take action to learn how to stop drinking when you begin seeing them. A great way to figure out if you should quit drinking is to take an extended break from alcohol consumption for at least a few days. If you observe withdrawal signs and symptoms showing up, you would be advised to see this as a sign that it’s time to stop drinking. You’ve pushed away friends and colleagues because of you’re boozed up shenanigans. Regardless if individuals wish to accept it or not, there are particular individuals who simply do not prosper with drinking. Everybody knows one of these people. Lots of people are also conscious that they are the individual in their group of buddies who cannot handle alcohol without provoking brawls, getting undressed, or otherwise humiliating themselves. The signs that alcohol has become a problem are everywhere… if you look for them. If you observe that folks do not wish to spend time with you after they’ve consumed alcohol with you. Or if you discover that individuals stopped asking you to social events, those are also indications you should quit drinking alcohol. Drinking alcohol has got expensive. Alcohol consumption is a very costly leisure activity, in more ways than one. You can sacrifice your careers as a result of being this drug. Being unfit to make it into work without a crazy bad hangover. You can also wind up shelling out more cash than you can afford on alcohol pretty effortlessly. The financial cost of drinking is crazy. There are men and women around who have drunk their way out of flats, vehicles, and even full-time careers. You do not need to be one of those folks. Listen to your wallet as well as your friends and family. If you recognize that you no longer have the finances to consume alcohol affordably, it is among the significant indications you should quit drinking. Are you drinking to avoid dealing with life? A great deal of us get addicted to the sensations booze can provide us, and that’s not a great life strategy. If you use alcoholic drinks to attempt to muffle your low moods, you’re going to be heading towards a hard time and dependency will wind up taking a grip on your life. One of the indications you should quit drinking occurs when you recognize you’re using alcohol as a plaster for your stress and worries. Alcohol is not a solution, it is a problem. It does not make anybody feel better (really), and your feelings could be better handled via other methods. You question your own drinking. Typically speaking, drinking alcohol is among those things that you either can take pleasure in or that you wind up feeling that you have to manage and control. If you really feel you should control it, it’s very difficult to effectively take pleasure in what you’re doing. When it comes to money, there is some great advice that goes like this. If you have to ask ‘can I afford it’, then you can’t. The same is true of alcohol. If you want to drink but wonder if you should really quit, then you know what the answer is. If you need some help and advice with your drinking. 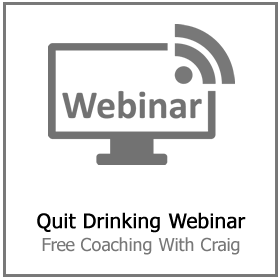 Click here to reserve your place on our next FREE quit drinking webinar. 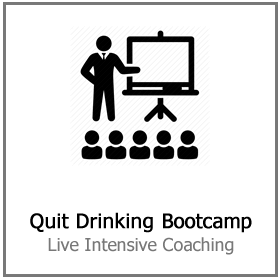 Or click here to find out about our live quit drinking bootcamps.